Recollections of the Irish War. 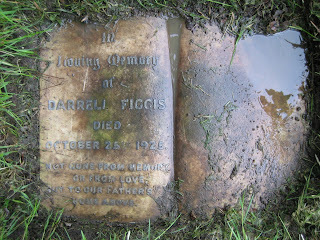 Darrell Figgis. 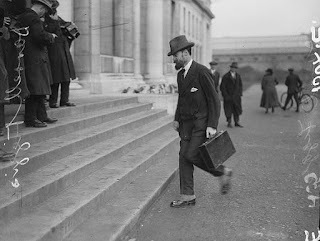 Ernest Benn, London, 1925 pp 309. 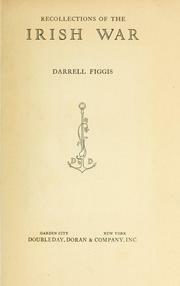 I recently read Recollections of the Irish War by Darrell Figgis. 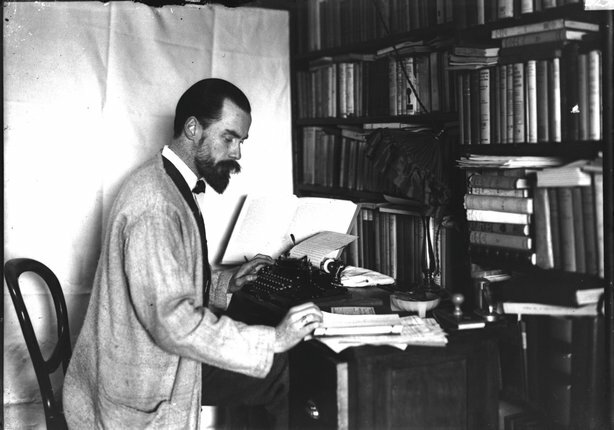 Figgis died in 1925 and the book was published posthumously. He was a Protestant in the Irish Parliamentary tradition, but played an active part in the more radical nationalist and Sinn Féin movement from 1915 to 1922. The book was one of many in my father’s library which I had not read. I have no information about his family background although he may have had some connection with the long-established booksellers Hodges Figgis in Dawson Street. His book is written with a convoluted and turgid style which makes it difficult to read. Some of his sentences are quite opaque, but the contents are nevertheless of great interest. It is unusual to have a personal account of the lesser-known activists like Figgis who were so prominent during the revolutionary period. 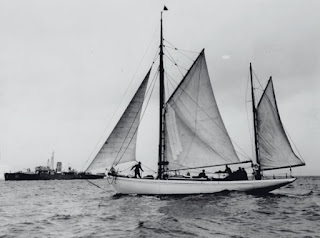 Figgis was closely associated with Roger Casement, The O’Rahilly, and Erskine Childers in connection with the Howth and Kilcoole gun-runnings in 1914. He gives a detailed account of the organisation leading to these successful enterprises. According to him he played a crucial role in the protracted negotiations in London, Munich and Holland leading to the purchase and transport of the arms. He was a close friend and ardent admirer of Arthur Griffith, claiming, correctly, that Griffith was the mainspring of the independence movement and the inspiration behind the settlement with Britain. His views of Griffith were shared by my father. Griffith was a modest and self-effacing man who insisted on nominating Dev as President of Sinn Féin in October 1917 despite been urged to take the position himself. My father, who was head of the army during the War of Independence, was described by Maryann Valiulis in her biography of him as a forgotten hero. So too was Griffith the forgotten political hero of the revolution. Griffith, Mulcahy, Ferris and the many other activists are no longer heard over the din of Collins and de Valera. The Asgard, used for the gun running is now on permanent display. 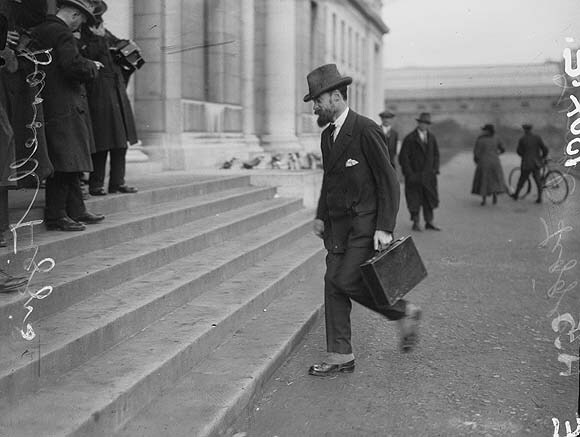 The British attempted to impose conscription on Ireland in the spring of 1918. Figgis underlines the immediate and disastrous effect this had in uniting all strands of nationalist opinion in favour of Sinn Féin. It led to the formal setting up of the general headquarters staff of the Volunteers and to the first move of the Volunteers to organise a military structure nation-wide and to be prepared for a war footing. He refers to the effect of the trumped German Plot by the British at the same time as the failed conscription attempt. This trumped up charge led to the arrest and detention of many leaders of the nationalist movement, thus adding to their political and patriotic profiles and fervour. He attributes the shift from the political to the military influence of nationalists and republicans to these clumsy moves of the British and subsequently to their repressive policies from 1919 onwards. political movement, was overshadowed when the military, (mistakenly described by him as the IRB) took over the initiative of the separatist movement and he refers to the baleful influence the rhetoric of the Republic had on such implacable republicans such as Cathal Brugha which led to the fatal divisions leading to the Civil War. His view that the IRB was the main group organising the military campaign from 1919 to the Truce of July 1921 is quite wrong and is in direct conflict with the view of Richard Mulcahy who was chief of staff of the Volunteers from March 1918, during the War of Independence (December 1919 to July 1921) and until the Treaty was ratified in January 1922. Figgis’s opinion was shared by many because the military papers of the time up to March 1924 were held by Mulcahy and were not released until the year before his death in 1971. Hence the widespread view that the IRB and Collins were the mainspring of the military campaign. 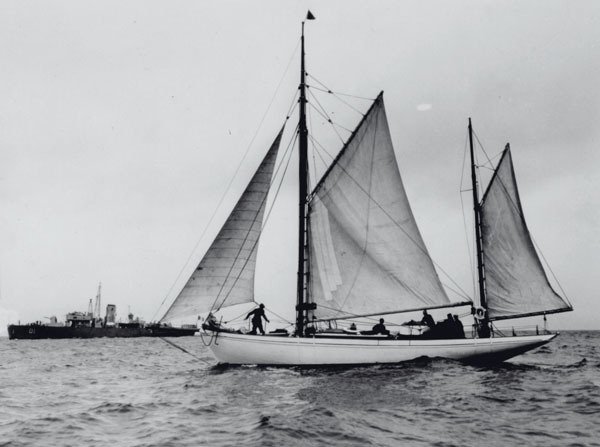 Clearly many of the leaders, including most of Collins’s squad, were IRB members but many were not, and the IRB as such had neither structure nor formal organisation after the 1916 Rising. Mulcahy joined the IRB in 1908 and was perceived by some as an 'IRB man' but he took no further part in IRB activities after he had joined the Irish Volunteers in 1913 on their foundation. The kernel of the military organisation was the GHQ Staff which, apart from having a few members who were or had been previously associated with the IRB, had no association with any other body and was entirely responsible for military policy. Collins, as well as his role on the GHQ staff, had a high profile on the political as well as the intelligence side during the war. He and the members of his squad were always associated with the IRB by Brugha, Austin Stack and others who subsequently were to become Collins’s enemies. However the GHQ staff was not perceived to be an IRB cabal by Brugha or his close colleagues, nor did the chief of staff ever think that the IRB had an influence on staff policy. Collins and his colleagues in the squad did play a crucial part in matters of intelligence, communication and in the seeking of arms but army policy was entirely a matter for Mulcahy and the political head of the army, Cathal Brugha, with, of course, the advice of Collins and the other members of the staff. Mulcahy’s military role in the War of Independence and the Civil war was, later, eclipsed by the early and unbalanced biography of Collins by Beaslai, by the constant part his family subsequently played in idolising Collins, by the latter’s prominent political role and early death, by his formidable, energetic and strong-willed character, his prominent part in carrying out the policies of GHQ and by Mulcahy’s constant avoidance of publicity and his refusal to release the GHQ and early national army papers until the year before his death in 1971. It is interesting that Figgis, who was a close observer of the scene during the War of Independence years, should have referred to no other military leader but Collins but it is perhaps understandable given Collins's immense presence in the movement and by the discrete but vital organisational work of the GHQ staff and of its chief. There is little doubt that the increasingly widespread role of the staff, and particularly Mulcahy’s role as chief of staff and his constant close association with Brugha, can be attributed to the low profile my father maintained during the War, a profile which was consistent with his regular delegation of responsibility to others, to his discretion and his characteristic self-effacement as military head at a time when his arrest and that of other members of the staff would have been a disastrous setback to the military movement. 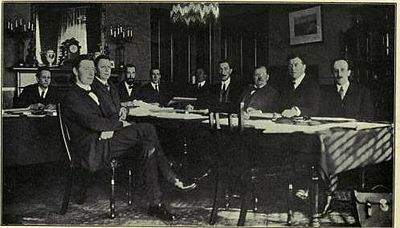 Figgis, fourth from left. He died tragically in 1925. Figgis was close to Griffith. Griffith set up his Commission of Enquiry into the resources and industries of Ireland while he was acting as president of Sinn Féin and the Dáil during Dev’s absence in America. He asked Darrell Figgis to act as secretary of the Commission. Figgis provides a detailed account of this very important initiative of Griffith’s. He also gives an insight into the organisation of the Republican courts which were to replace the Crown Courts in most parts of the country, except Dublin, and which were to thrive despite strong attempts of repression by the British authorities. He refers to the Trojan work done by Kevin O’Shiel in furthering the work of the courts and particularly to O’Shiel’s ‘‘outstanding influence in solving difficulties, in sorting the land troubles which were endemic where farmers and others were taking advantage of the disturbed state of the country and the thrust towards independence to take land illegally from the big land owners’’. 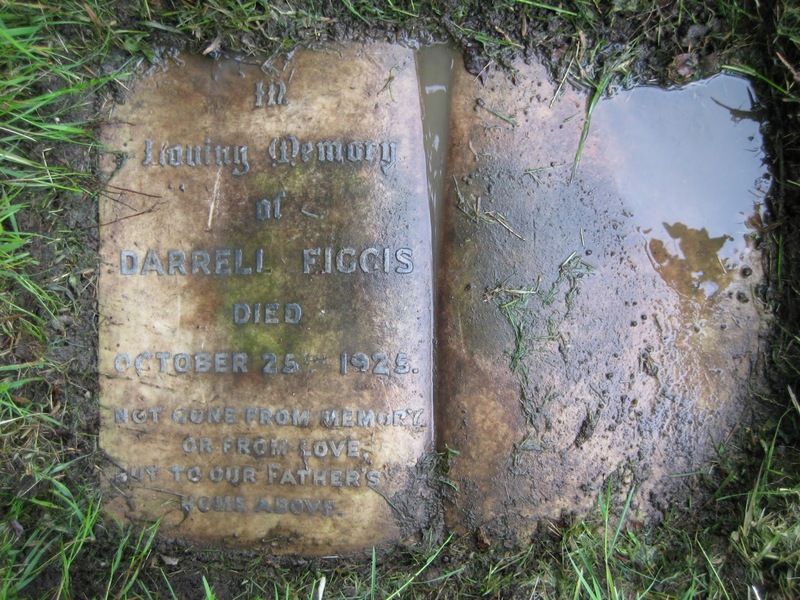 Figgis' headstone – rediscovered May 2008. Day of death incorrect. Figgis makes no comment about the Treaty and the subsequent divisions but he clearly must have been sadly disillusioned by the compound disaster of the Civil War, as my father so aptly called it.